Are you ready for hurricane season? Typically the peak of the season runs from mid-August through October and those who've weathered a major hurricane know all too well how important it is to be prepared. You’ll want to stay on top of the weather in your area as well as find ways to communicate when the power goes out, taking the Wi-Fi with it. Luckily, technology can help with that. Make sure you have these gadgets for your emergency preparedness kit. American Red Cross ZoneGuard+ is a wireless weather alert radio system that notifies you with flashing lights and blaring sounds when there’s severe weather alert in your area. It uses specific area message encoding (S.A.M.E.) technology. You simply enter your S.A.M.E. county code and when you need to know something the integrated AM/FM digital radio can keep you informed, even if your Internet, power or phone lines are down. If you're worried about not hearing the alarm, the ZoneGuard+ comes with two wireless remote modules that you can place in other rooms around the house as long as they're within 50 meters of the base. Additional remote modules can be connected to the base, if you need more coverage. You can run it off AC or powered it with AA batteries if the power goes out. There’s nothing that makes you quite as nervous as watching your phone battery deplete during a storm. You want to know you can communicate with the outside world, or just check in with family. The Eton BoostTurbine 2000 is a 2000 mAh battery pack that can fully recharge all but the largest smartphones on the go. The USB port output is just 1 Amp, so you won't be able to charge some larger tablets and other large devices will take longer to charge that usual. What we love about it is if you don’t have power to charge it back up, you can simply use the hand crank to produce more power. 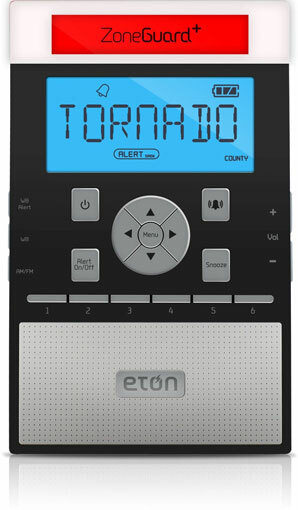 Eton says one minute of cranking can generate enough power for a short phone call or a few important texts. You know it’s important to keep candles and flashlights nearby during a storm, but did you know LED flashlights actually shine brighter than regular flashlights? 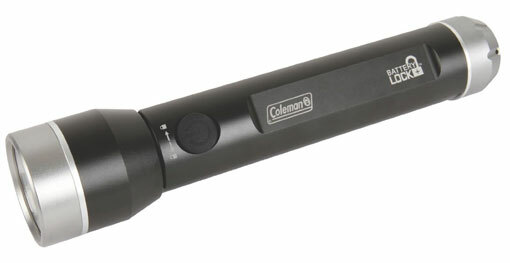 The Coleman Battery Lock Divide 700L flashlight can generate 700-lumens to light up an area up to 280 meters in front of you on its high setting and up to 70 meters on its low setting. It runs off six AA batteries and its unique battery lock prevents the batteries from slowly draining or corroding over time, so you'll know you’re ready for the storm. Of course we think it’s always a good idea to have spare batteries around. The Coleman Battery Lock Divide comes in lower power versions: the 350L model, which takes 4AA batteries and has a range of 260 meters on high and 90 meters on low, and the 250L model, which takes 2AA batteries and has a range of 130 meters on high and 40 meters on low. Price: for the 700L is $44.99 on Amazon, $34.91 for the 350L on Amazon, and $29.99 for the 250L on Amazon. Along with your spare batteries and spare water, you might want to have a spare phone. 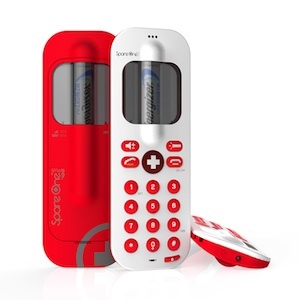 SpareOne Plus is an updated version of a popular emergency phone that runs on AA batteries. When you pack it away unused, the battery will last for up to 15 years, or will power 10 hours of talk time. We like that it has a dedicated 911 call button that can be used with or without a SIM card. The Plus version also includes a panic siren and an SOS torch light. Users can sign up for an (additional cost) location and alert service. Here’s a little secret. When you lose power, and along with it access to the Internet, you can still access Facebook and Twitter to let people know how you’re doing. As long as your phone has juice and cell service, you can send a status update via SMS, or text messaging. For both of these social networks, you need to set this up in advance, so now would be a great time to do this. For Facebook, go to the Privacy Settings at the top right of your home page, select See More Settings and go to Mobile. Find the “Activate Text Messaging” tab, select your country and follow the instructions. 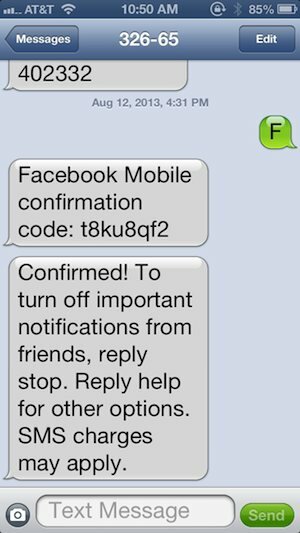 I had to text the letter “F” to Facebook at 32665 to set this up. Make sure you receive a text confirmation back to ensure you’ve set this service up. For Twitter find the Mobile tab under your Settings, put in your mobile number and then activate Twitter text messaging. Or on your mobile app, go to Settings and select Phone Number. You’ll have to send and receive a text message letting you know the service is active. Once you’ve done this, you can enable text notifications for other actions as well, such as replies or direct messages. In an emergency, you can text your update right to your Twitter account. If you have a smartphone, you can easily keep track of storms and the paths they take with the American Red Cross Hurricane app. 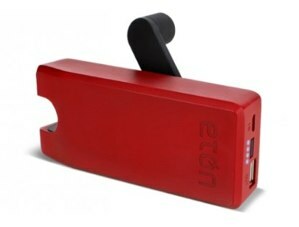 It tracks the path of the weather, gives directions to shelters and allows you to use your phone as a flashlight. It's not just for when a hurricane hits, either. It's packed with tips and instructions on how to prepare in advance and advises on flood and tornado warnings as well. Price: Free on iTunes and Google Play. Want more information about the current hurricane forming? The Hurricane Tracker app uses data from the National Hurricane Center, NOAA Weather Radio and more to provide comprehensive and exhaustive information on the current severe weather forming. It even includes storm histories, animated maps and "model watch" to predict upcoming storms. Make sure to sign up with your town’s emergency notification system. During a storm you can get text messages or calls letting you know about warnings and hazards or even where you can charge your device or fill you gas can.Local information is a necessity during a storm so sign up for these services now. Google your town's name followed my "ens alerts", "ems alerts" or "text alerts" to find instructions on how to sign up in your area. 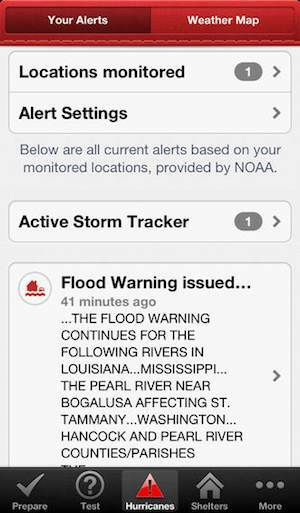 Finally, make sure you opt into Emergency Alerts on your smartphone. For iPhones, go to Settings > Notifications and then scroll all the way down to the bottom. For Android devices, each device is a bit different and not all devices and carriers support it. For most phones, you'll either find the option in the setting for text messaging app or in general settings under Wireless & Networks. For most LG and Samsung phones, go to your text messaging app, then open Settings > General Settings and select Emergency Alerts. For most Motorola and Nexus devices, go to Wireless & networks > More > Emergency broadcasts. And GPS device is where? In case of emergency, i would for sure take with me some kind of gps device. At least gps app in my phone. No way in hell would I give Facebook my phone #. God only knows what they would do with it! !